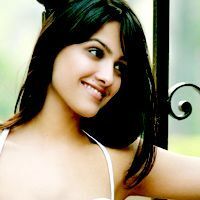 Check out the most updated and latest information about Anita Hassanandani's on the Internet.We have 124 videos of Anita Hassanandani including interviews, events, or public appearances.Anita Hassanandani has over 347 Fans registered on India-Forums.com. We have 685 Television News articles related to Anita Hassanandani.Do share your criticism, comments and feedback for the Actor on Anita Hassanandani's comments page. We have over 49 Photos of Anita Hassanandani to view and download including Anita Hassanandani's Wallpapers. Naagin 3 is boring without you. Come back soon. Fabulous actor, entertaining, gorgeous. Love you Anita Hassanandani. You really are 'born to slay'. In all three seasons, Vish is the first Naagin I liked. Really author backed! You are doing great as Vish! I am watching Naagin show only for you.